Washington D.C. Dawn. The light is shining on the Tidal Basin as a calm unassuming man is on a nice calm jog to begin his morning. Suddenly, barreling down the same pathway along the man-made reservoir is another man. A faster, seemingly more determined man. He speeds up to not only catch up with the first unassuming man, but to completely lap him. He utters one phrase. And with that begins one of the most fast-paced, politically-charged battles for right and wrong commences. From the release of the very first trailer, 2014’s Captain America: The Winter Soldier was destined to be more than just a sequel. Adapted from one of the most controversial and groundbreaking comic events in Marvel history written by Ed Brubaker, this instant classic has the same down-to-earth humor that MCU fans have grown to expect as well as completely flipping the narrative of the entire shared universe on its ear, sending shockwaves throughout the entire universe. The effects of which are still being felt to this very day in the MCU. 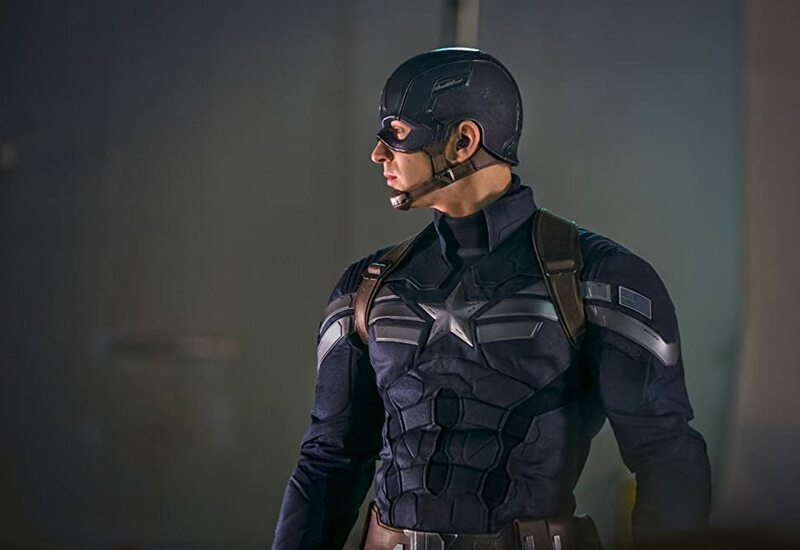 Taking place 2 years following the events of 2012’s The Avengers, the recurring theme in the film is this idea that Steve Rogers (better known as Captain America) is a fish-out-of-water in the modern United States. Think about it, the last thing this man remembers from 1945 is sacrificing himself by crash landing a bomber kamikaze-style to save his hometown of New York City. He then wakes up and is suddenly faced with people that he has never met, the realization that all of his friends are dead, and that the world he knows and loves is gone. On top of all of that, within the first few months of being alive, he is thrust into an alien invasion during the Battle of New York. The fact that he’s not suffering from a mental breakdown is a miracle. The story is a perfect example of moral compass vs diplomatic duty. Cpt. Rogers is tasked with cleaning up messes on behalf of S.H.I.E.L.D. all over the world. The first action sequence in the film belongs to Steve, Black Widow, and a few more operatives as they board a ship and battle terrorists who have seized control of the vessel. Cap is rare form throwing his shield and dropkicking assailants overboard (some of those guys are DEAD, let’s be real). Cap is also suddenly faced with the consequences of 70 years of fear due to decades of tragic worldwide events. Project Insight is the child of that fear. Put into place by Nick Fury and the World Security Council as a preventative measure to eliminate potential threats. Fury likens this concept to his grandfather carrying a loaded pistol with him in case things were to go haywire to and from work. Cap, obviously, is not a fan of placing these giant murderous Helicarriers in the sky with the ability to take out anyone deemed dangerous by a spy organization. 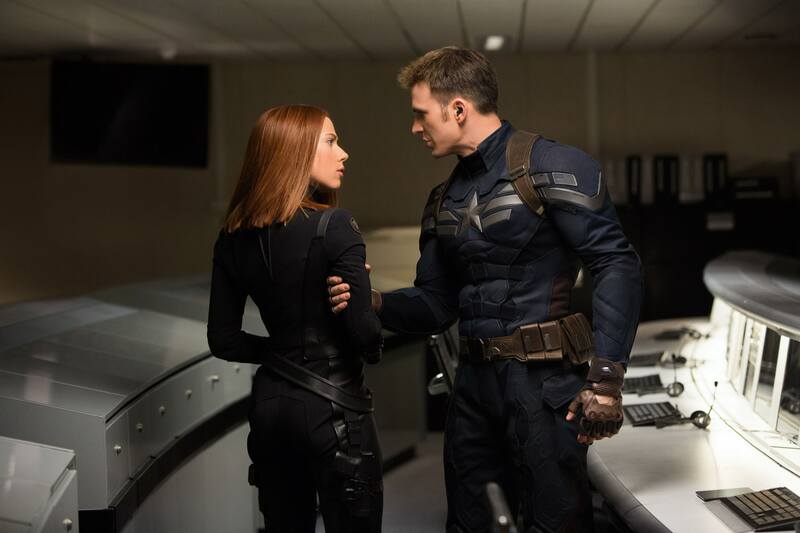 After the true nature of the mission Cap and Black Widow go on is made clear (to recover data from the ship for Fury to decrypt), Fury becomes suspicious of Project Insight and asks Alexander Pierce, his superior, to delay the process. This lead to one of the biggest WTF moments in the entire MCU. Nick Fury being attacked by police officers. Can I be real for a second? For just a millisecond? BUCKY BARNES IS NOT A VILLAIN!!!!!!!!!! During Fury’s escape, he meets The Winter Soldier, an assassin credited with over a dozen high-level assassinations all over the world and meet his (perceived) demise. Fans in theaters all over the world breathed in a collective devastated breath as it looks like Nick Fury was gone. From there, Cap, Black Widow, and the Falcon (who has been a trusted friend of Cap for decades in the comics) wage war against the unknown as it is revealed that HYDRA, the rogue science division of the Nazi party previously seen in 2011’s Captain America: The First Avenger, has been hard at work for the past 70 years to infiltrate S.H.I.E.L.D. This is the affect that is still being felt in the MCU to this very day. S.H.I.E.L.D. has been the one recurring structure since day one in the MCU. It spawned a TV show on ABC and gave The Avengers access to recon and technology that they would not have had otherwise. This is why the HYDRA take over was so game-changing. Everything fans have grown to love and believe was a lie. A clever ruse by the bad guys to free the population from freedom. Cap is the only thing to stand in their way. The story is very intricate and details are so fine-tuned that it’s a marvel that The Russos were able to pull it off in their first attempt at a MCU film. They took characters that fans had fallen in love with in Cap, Black Widow, and Nick Fury and created tragic figures who must now deal with a world in which their safety net no longer exists. It is beautiful storytelling and allows fans to suspend belief and invest fully in the universe and see the ramifications of decades of decisions made by those in power. The dynamic between Steve and Bucky was the heart of the first Captain America film and Marvel added another, emotional layer to that saga by reintroducing Cap’s best friend as a ghost of his past. Bucky has been through hell while Cap was on ice. He doesn’t know his friend. He only knows the mission. Bucky is a formidable opponent and gives Cap a run for his money throughout the film. Steve is often looked at as the soul of The Avengers. His heart is in the right place and his morals are what makes him the hero he is. This film did wonders for his place in pop culture as it took him from being the man out of time in The Avengers to a capable hero who can hold his own film and create one of the greatest stories of all time. Upon its initial release, Scott Foundas of Variety described the film as “chockfull of the breathless cliffhangers dictated by the genre, but equally rich in the quiet, tender character moments that made the first film unique among recent Marvel fare.” Nothing in this film is without meaning. There is no wasted motion in the narrative. There is very good reason why this film is still widely considered the best MCU film of all time. And it is because the breath of fresh air it gave the entire genre as a whole. It is because of the relentless narrative that previews the fugitive lifestyle Cap would soon have to become accustomed to. It is because the characters are forever affected due to the events of the film.